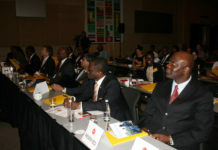 The 2011 Brand Africa Forum, held on 29 September in Johannesburg, saw an impressive range of pan-African, disaporan and global thought leaders, influencers and decision-makers coming together to debate how Africa can drive its growth, reputation and competitiveness. The event was sponsored by Brand South Africa and the Brand Leadership Academy. View photo galleries of recent events.